Cats purr and cuddle. They do their business in a litter box. They don't demand constant attention. They are not noisy and constantly barking at strangers. Their one downfall is scratching. Their claws dig into furniture and carpets, destroying drapes and other items. 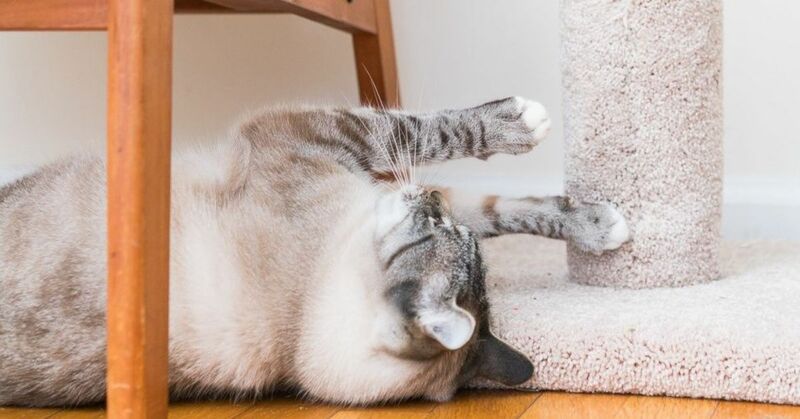 Rather than constantly replacing ruined carpet and sofas, cat owners look for other solutions to their feline's destructive behavior. One such solution is declawing a cat, but in recent years, people have questioned whether this solution is humane. Declawing a cat is not a simple procedure. According to the American Veterinary Medical Association, declawing is a surgical amputation and should not be rushed into without thoroughly discussing the pros and cons with your cat's veterinarian first. According to the Humane Society of the United States, during the declawing procedure, the last bone of the cat's toe is removed using a scalpel, a laser or guillotine clippers. As with any surgery, infection and tissue damage are possible immediate side effects of the procedure. Other side effects are longer lasting, possibly affecting the cat for the rest of its life. As part of the toe bone is removed, the cat's gait might permanently change, resulting in back pain or lameness, PetMD states. Some cats may resort to biting more because their claws, which are part of their natural defense system, are gone. In addition, declawing a cat later in life can cause it to stop using the litter box, according to the Humane Society. This happens because cat owners use shredded newspaper instead of kitty litter until the cat has fully recovered from the surgery. Some cats don't like the feel of the newspaper and quit using the box altogether. They also may associate the pain after surgery with the litter box. Due to the negative side effects of the procedure, 28 countries have already outlawed declawing. This trend is slowly spreading across the United States, with various cities and some states banning the practice.